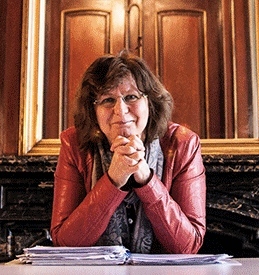 The academic expertise, publications and editoral positions of prof. Anne-Marie Korte are situated at the intersections of religion and gender as concepts in daily life and theory, and on the connections of religious studies and gender studies as interdisciplinary fields of study. She is an active founding member of a broad international network of scholars in this field. With emphasis on interdisciplinary and international collaboration, this network was further developed during the NWO-funded internationalisation project, which ran from 2012 until 2015. At the final conference of this project in February 2015, the ‘International association for the study of religion and gender’ (IARG) was launched. The IARG builds upon and expands the network of the internationalisation project and invites scholars from different disciplinary backgrounds to join en continue the development of the field of systematic study of religion and gender. Related to this network is the open-access peer-reviewed journal Religion and Gender.